California’s recent fires in Butte County certainly got me thinking about my family’s important documents and how best to store them safely. It is so hard to imagine losing everything and having to rebuild from the ground up. Storing our most important documents in a firesafe box suddenly seemed really relevant. I’m guessing that I’m not the only person thinking this way, so, in the spirit of the collective anxious unconscious, here’s a list of what to keep and my thoughts on some best practices to keep these documents safe. Here are a list of the documents that I would advise you to keep. 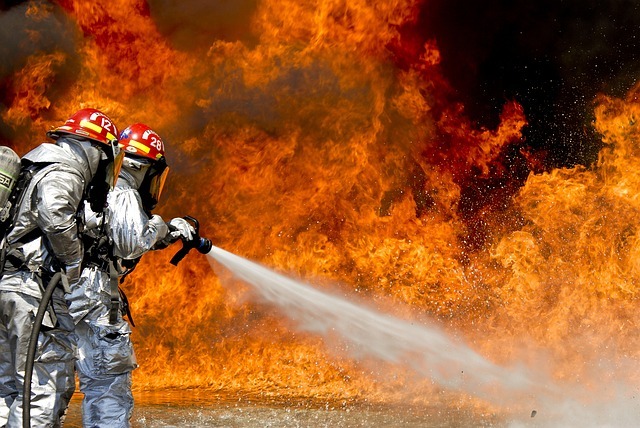 While it is true that many of these are public records (like birth and death certificates or property deeds) having them accessible, and having copies of them, will make it easier after a disaster. Your estate plan-wills, trusts, durable powers of attorney for health care and finance. Birth certificates, marriage certificates, and death certificates. Insurance information: home owner’s insurance, life insurance, health insurance. Mortgage information: know your loan number and the address for payments. Property titles: deeds to your house; pink slip to your car. Medical information–such as prescriptions that you need to refill right away and contact info for medical insurance and doctors. So, that leaves storing these documents at home. Most fire safe boxes sold through normal retail channels promise only that they will be fire resistant for a certain period of time, usually 30 minutes, sometimes one hour. To us, being able to take these documents with us made the most sense. We used to have a fire resistant 1.3 cubic foot home safe. It weighed close to 100 lbs. Eventually it broke (the door wouldn’t shut) and when we decided to replace it this weekend, we decided that we’d rather have something easier to grab and run out of the door with, assuming we had enough time to evacuate. 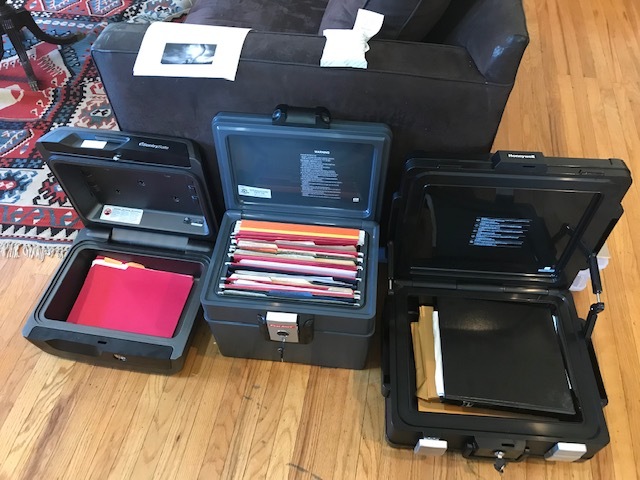 We decided that the Honeywell Waterproof Fire Chest (on the right) that can hold our estate planning binder, and our important documents, and had a handle, was the right choice for us. There are other options online, but we wanted to actually see what we were buying first. Like many families, we actually wanted to protect more than what we could fit in the box, which has a capacity of .39 cubic feet, so the file box will store the overflow. Maybe we won’t be able to lug it to the car, but at least we provide fire resistance to those heirlooms and hope for the best. The smallest box might be a good option for some people, but for us it was too small to meet our needs because I wanted to store our estate plan binder intact. In addition to storing the documents in the Fire Chest, I also scanned each document and placed a copy of each scan in the cloud. There are many options for doing this– I used my Box account, because I already use that for work, but any secure cloud-based storage for scans makes sense. Finally, I copied the scans onto a thumbdrive that I will store outside of the house, just in case. The whole project took about 5 hours. Not the worst use of a holiday weekend. I’ve been telling my clients this for years, and this weekend, I realized it really is true: spend some time planning for the worst, then relax. You’ve done what you can.